For more than 30 years, the thoroughbred racing industry has had various starts and stops in addressing the racehorse aftercare issue on a comprehensive basis. Charitable organizations were hard at work and raised awareness but it wasn’t until after the filly Eight Belles broke down that leaders in the racing industry started putting forth industry-wide efforts. 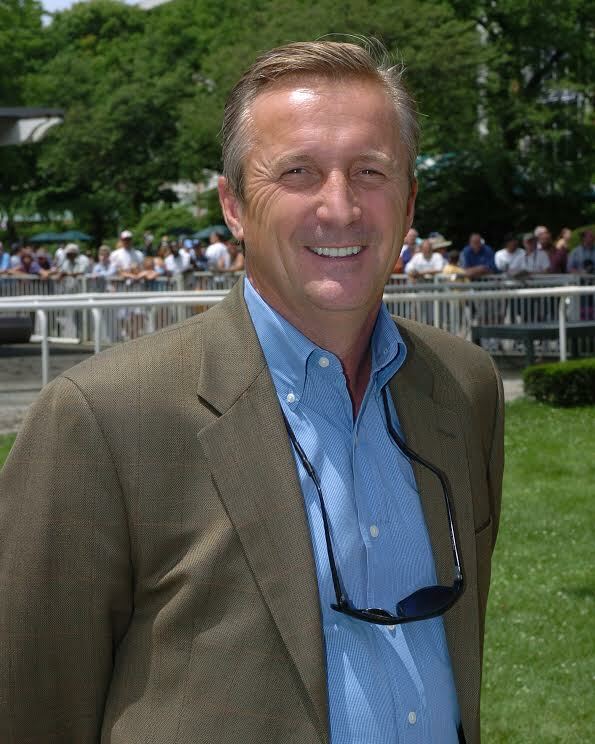 Thoroughbred trainer Rick Violette, then president of the New York Thoroughbred Horseman’s Association (NYTHA) advanced an effective two-pronged approach (TAKE THE LEAD and TAKE2), funded by NYTHA to create a safety net for New York’s racehorses. TAKE THE LEAD and TAKE2 address two basic elements of the issue. TAKE THE LEAD is an expedient way for owners and trainers to retire a horse from racing and TAKE2 established thoroughbred-only hunter and jumper classes at existing shows with prize money and a league awarding a grand prize at the end of the season. Proud of the progress TAKE2 has made over its first five years, Violette said he sees an even better future for off-track thoroughbreds as he plans to diversify the strategy of the pioneering program. In year five, TAKE2 has made major inroads going from integration in eight horse shows to 350 shows across the US. But, in keeping with Violette’s philosophy on all issues in the racing business, it will be honed and tweaked to keep it fresh and growing. Violette’s approach is refreshingly horse-centric yet focused on the big picture. He was a show rider, trainer and riding teacher before becoming a successful racehorse trainer and he said that the characteristics we admire in thoroughbreds may be more attractive to serious young riders like those participating in U.S. Pony Club than to the average hunter rider. Diana Pikulski, former Executive Director of the TRF, now a non-profit consultant and Editor of the Thoroughbred Adoption Network www.thoroughbredadoption.com. caught up with Rick at the Palm Meadows Training Center to talk about the right market to launch the second phase of TAKE2 and the overall picture for Violette’s vision of a multifaceted approach to providing second careers and aftercare for off-track thoroughbreds. TAN: It has been five years since you launched TAKE2. Are you satisfied with its progress to date? RV: To date, TAKE2 has accomplished our initial intent which was to revive awareness of the value of thoroughbreds in the show ring. We started with eight shows and we are now in the mid-300s from coast to coast. While we are pleased, as there is a lot of competition in the shows these days, we do feel that we have plateaued a bit. So we are evaluating to see what we can tweak to keep progressing. TAN: Where do you see the focus being put in the next phase? RV: We won’t necessarily be looking to get into more shows. But where we are represented, we need to fill the classes better to keep it interesting and keep emphasizing the value of thoroughbreds. We did create a league that has a serious $30,000 prize for the most points at the end of the season. Going forward, in TAKE2 leadership, all hands are on deck to keep it fresh and keep fulfilling our need to keep the thoroughbred in the forefront by highlighting those positive characteristics that people are missing in thoroughbreds over the last number of decades. It might take a generation to get thoroughbreds back to stature that we want. TAN: With the success of TAKE2 in the hunter jumper shows, will you take a similar formula to other disciplines? RV: The 16.2 and larger horses have lots of options. So now, we need a place for the smaller thoroughbred. The beautiful 15-15.2 horse could have a significant place in the pony club world where young people who are learning dressage as well as jumping, are attracted to a flashy and forward moving horse who is consistently in the bridle. Thoroughbreds are very receptive to subtle commands which is not always so attractive to the hunters but would be to the pony club riders. We’ll be looking to sit down with the leaders and principals at U.S. Pony Club to see if we can fill a mutual need. TAN: NYTHA launched TAKE THE LEAD in concert with TAKE2. TAKE THE LEAD is a program where trainers can contact NYTHA about a horse they are seeking to retire and basically turn the lead over to Rick Schosberg and Andy Belfiore, who oversee the process. The horse is vetted and transferred to a TAA- accredited organization with a donation. When the horse needs long-term or lifetime retirement, TAKE THE LEAD continues to support the organization which accepts the horse. The intent was to create a safety net for NYRA horses and give owners an easy way to do the right thing. This is an important part of the desired program outcomes. Is the two-pronged approach, TAKE THE LEAD and TAKE2, working as you envisioned? RV: It is working as planned. Racehorse aftercare is a multifaceted issue. Giving them a safe haven in New York, through TAKE THE LEAD was our first priority. Then creating a second job for them was Priority 1A. The vast majority of these horses do better with a job. They rally to a task. The programs go hand in hand. TAN: Have the racehorse owners responded to the process as you hoped? RV: Without question, they are stepping up. More horses are being retired while they can still easily go on to a second career- early, rather than a day late. While many owners, for as long as there has been racing, have done the right thing for their horses with no recognition or fanfare, it was important for us to make it easy for all owners to do it. TAN: Things are moving in the right direction for thoroughbred aftercare. But it is not perfect. What do you think of recent incidents of thoroughbreds needing to be purchased from the kill pens in Louisiana and Texas, and how do you stop the cycle of thoroughbreds ending up at the kill pens? RV: Racetracks need to hold their trainers and owners accountable. When one horse falls through the cracks, that is one too many. A lot needs to be done to stop these horses from going over the border and we cannot expect the federal government to do it. Right now, all tracks need to make examples of anyone who has direct contact in sending horses to slaughter by revoking all of their privileges. TAN: You have had marked success with the New York efforts. On a national level, how do you see the partnerships with other organizations working out? RV: What is clear is that there is no one answer out there. It takes many efforts and a combination of all the successful programs out there from RRP, to TRF to TAA and all the retraining groups. All organizations are necessary. It is a work in progress and like all of the issues facing racing, it will always be changing and progressing to meet the ever changing business.